Anthony Rotoli, a University Recruiter at Microsoft just did a great interview with Heather Wood Rudolph at Cosmopolitan Magazine earlier this week regarding what it takes to get hired at Microsoft as a student. You can find it here. What’s the process for recruiting on campus? If you’re graduating in this school year, we consider you a full-time applicant. If you will be graduating later, we consider you an intern applicant. I focus on campus engagement at Carnegie Mellon, Princeton University, and UC Berkeley. I manage our entire presence on those campuses. We host events, sponsor student organizations, engage in career fairs, and stage hackathons. These are great opportunities for candidates to meet me and follow up with an email or a résumé. I’m usually getting hundreds of résumés at a time. The standouts from each bunch have a 30-minute interview on campus with a Microsoft professional. Based on the feedback from that interview, we decide whom to fly to corporate headquarters in Redmond, Washington, for the next interview. Do you look up candidates online to check out how they represent themselves? We use social media tools like GitHub and Piazza to seek talent. I will rarely go on somebody’s Facebook to see what pictures they post. Your personal life is your personal life. What types of questions do you typically ask in an interview? In general, I want to check that you really know what you’re talking about when it comes to things you listed on your résumé. When you say you led a team, tell me about those experiences. Then I get into creative questions. I love to pose a hypothetical like, “You work for a refrigerator company and you’re given a task: How would you change the world with a next-generation refrigerator?” It gives people an opportunity to kick out their wildest ideas. And it shows how much they think about technology. Will the fridge have sensors that connect to the cloud? Will the front panel give you recipes based on what you pull out of the fridge? 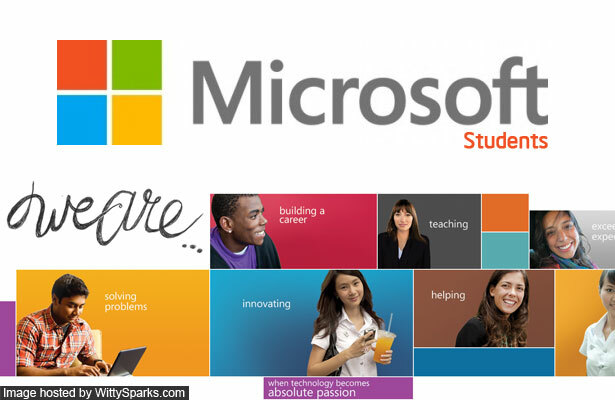 If you are a student who aspires to work at Microsoft, consider getting in touch with me, and visit our University Careers site. How to stand out at a career fair at a massive university?